Princess Cruises has a reputation for consistently good dining. One of the driving forces behind Princess' dining operation is Master Chef Alfredo Marzi. 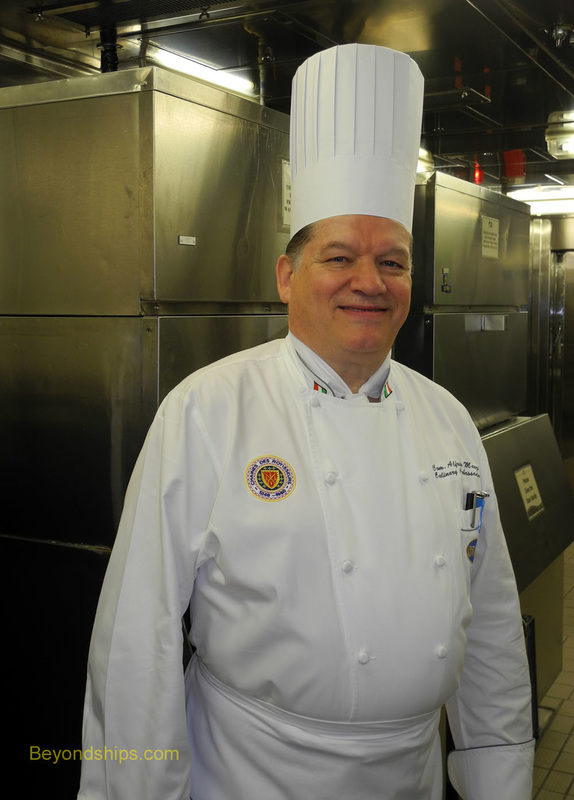 Based at Princess' head office, Chef Marzi is the line's top chef and culinary visionary. He is a dynamic individual who speaks with enthusiasm as his mind moves from idea to idea. 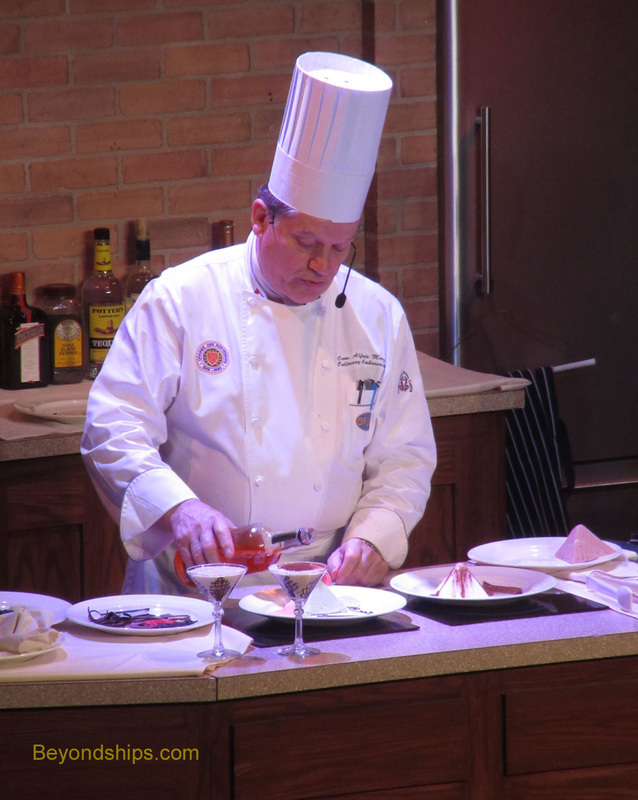 Above: Chef Marzi giving a culinary demonstration aboard a Princess ship.